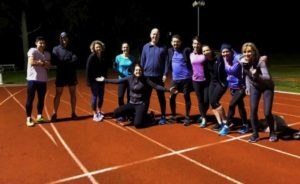 An athletics club located in Doncaster is doing their part to help the Manningham community become more involved in the sport, holding a master’s competition and a casual running group. Last Monday, the Tom Kelly athletics held their first ever master’s competition. An event which is also held all around Australia saw athletes come from all different clubs competing in a variety of events at the track. With a wide range of ages including 50-80 years olds participating, the competition allows anyone at any ability to take part in the program. Graham Ford, the person behind the Doncaster Masters was someone who competed in other master’s competitions but noticed some improvements should be made. Ford said he wanted to have an event that allowed individuals who didn’t normally compete in athletics to take part. “A lot of people who compete during the week don’t go in those because they think they’re for elite athletes only and I want to particularly to get the people who don’t go in the Victorian championships to compete and I succeeded in that and there was a lot of variety,” Ford said. The Doncaster club sees a large number of runners at all abilities come down to the track to compete, train or get fit. At the moment, this club has been the only one in the area to take on this idea of creating an event for the community to become more involved in athletics. Laura McLennan, a Doncaster athlete, competitor of the master’s competition, coach and organiser of Ruffey Runners said competing the masters was different to other athletic races. “I think it needs to be shown that it’s a great opportunity for clubs bring this into their environment and I think there’s not enough of that around in sport toda,” McLennan said. 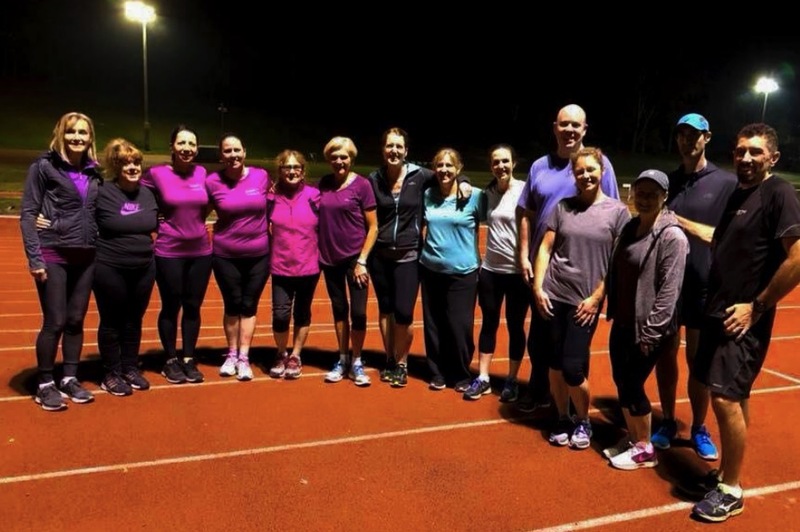 A running group called Ruffey runners run by Laura McLennan, Colleen Keely, Darryl Kilmartin and Anthony Gottlieb has been another recent addition to getting the community further involved in athletics. Held weekly, the group tailors for both men and women of any level of fitness. McLennan said the commencing of the running group has given a sense of achievement to herself and those who join her. Colleen Kelly, wanted to start up the group as a way to get people more involved in physical activity. “The reason behind Ruffey runners was a way of involving the community in fitness and social connections and we just thought we had the benefit of the track here with the lights on so it was a safe environment,” Kelly said. Many members who joined the running group said they had initially felt intimidated coming down to the track. Jen McCombie who comes to the track weekly for Ruffey runners felt that everyone was better and faster than her. The Doncaster Masters competition is held on Monday’s at 7:30 and Ruffey Runners on Tuesday’s at 7:15 at the Tom Kelly Athletics track in Doncaster. The author, Emily Lumsden is currently attending university studying journalism. Runner’s Tribe relish the opportunity to give young budding writers like Emily air-time to spread the word of running through the means they love. RT has had a good number of highly talented interns find their way into successful jobs post university. Contact info@runnerstribe.com for more information.